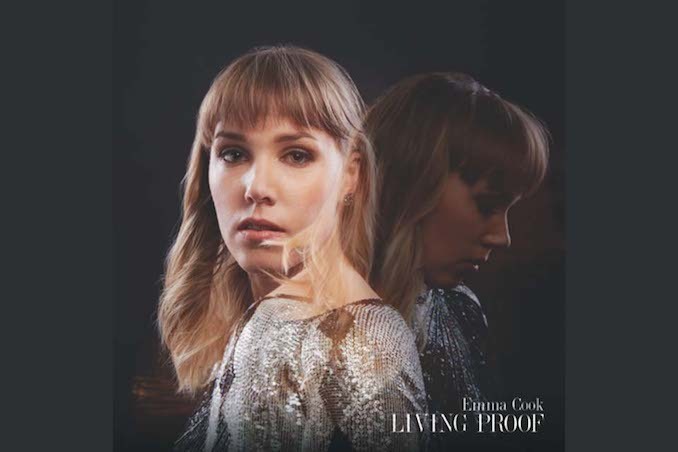 Our latest featured local musician is singer / songwriter Emma Cook who recently released her new album, Living Proof, on February 2nd. She is also playing a show on March 3rd at the Burdock. Read our Five Minutes With Emma Cook. 2016 FACTOR Juried Sound Recording recipient Emma Cook combines a powerful and haunting voice reminiscent of Sarah McLachan and the song stylings of Jenn Grant or an edgier Jann Arden. She also knows what it means to struggle. The Toronto indie-folk singer was well on her way to making a name for herself before a falling tree branch caused a serious head injury and forced her to take a hiatus from music to focus on recovery. After a three year battle with Post-Concussive Syndrome, Emma drew 2016 to a close with the release of her third album ‘Same Old Song, produced by Mitch Girio (Emma-Lee’s Never Just a Dream). The cover of Same Old Song shows a single tree branch, an ode to the artists ongoing fight to recover from her injuries and the power of music to get us through the hardest of times. Same Old Song debuted at #3 on the folk charts in Edmonton and landed Emma a synch licensing deal with Community Tree Music in Vancouver. She performed the new album to a packed house at Toronto’s Burdock Music hall at the end of Feb 2017 and there was not a dry eye in the house. In early 2016 Emma began writing songs again. “They just started pouring out of me” she said, “I am channeling all of the loss and frustration, all of the pain and hardship of the last few years.” Thanks to a recent FACTOR grant, Emma is set to release her fourth album Living Proof produced by Dean Drouillard (Royal Wood), the first single of which got her into the second round of the CBC Searchlight competition. Living Proof is a collection of powerful songs, combining synth and pop elements layered with her stunning vocals but still keeping true to her folk and singer/songwriter roots. Emma is set to release Living Proof in early 2018 and tour both across Canada and internationally. I rarely go to the same restaurant twice but brunch at Hello Darling is pretty great. I don’t have one. I could listen to Feist all day though…and all night. There is so much talent in this city, I can’t choose one. Lydia Persauds new album Low Light blew me away. I’m a superfood girl for sure. Depends on my mood. High Park has llamas so that sometimes swings the pendulum. Night owl by nature. Begrudging early bird since having kids. I love the studio and I love performing, but I find being on the road hard. Roti unless I’m feeling nostalgic. My family used to always go to the Swiss Chalet near my house for dinner on Friday nights and there was a big mural of the Alps on the wall. I liked their ice cream. Follow Emma via her website an help support local music.